One of the great things about classic wooden sailboats is that they are antiques that can still be used. In fact, boats don’t do well sitting in museums or sitting at the docks; they need to be used. Even the oldest boats in the Classics got here on their own hulls under their own sail power. Many of them cross oceans. Obviously, all of them race. Here are some pictures and a video of some race starts taken from the starting line. 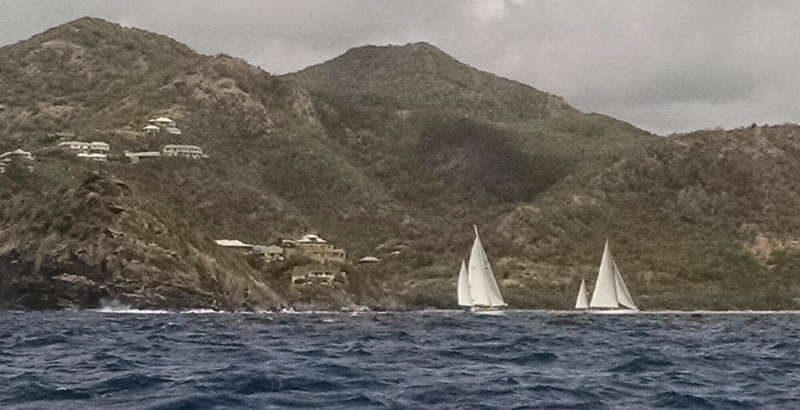 Left to right Rainbow, Rebecca, and Elena of London crossing/approaching the starting line. 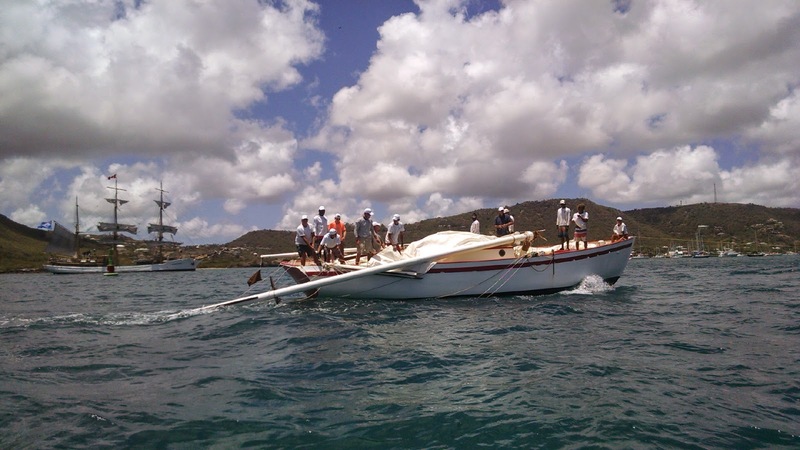 Dismasted Carriacou sloop Zemi. 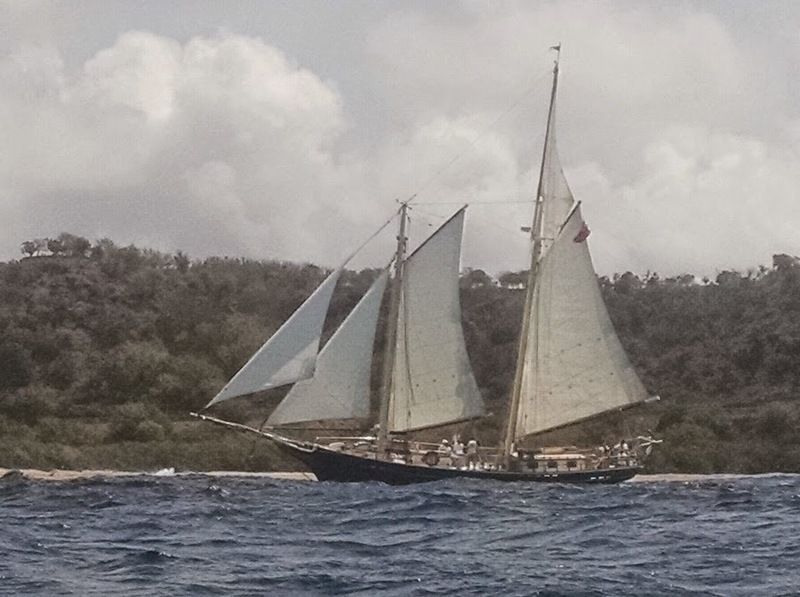 She was the starboard tack boat crossing tacks with Exodus, another Carriacou sloop on port tack. Exodus tried to duck her but caught her bowsprit in Zemi's backstay, which brought down her mast. To the left is the 180' 1928 barque Picton Castle, preparing to sail off her anchor, which the crew raises using only people power. Whitehawk preparing to raise jib. Years ago her mainmast was shortened by 6' and her mizzen by 9'. Unknown boat approaching start line. Wow! What a great trip!! Thanks for sharing your pictures!! Beautiful boats! !